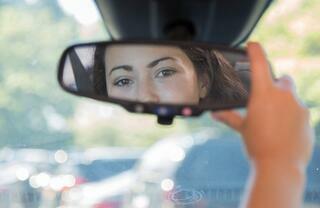 Nervous about taking your driver's license test? Don't be! The Next Street has you covered with some helpful reminders of what to do and what not to do on test day. Go ahead, be prepared! You definitely do not want to be late on your big day, nor do you want to be frazzled because you are running late. If you have not had a chance to drive around the test area, this is the time to get familiar with the roads. The more familiar you are, the less nerve wracking your day will be, and the more confidence you will have during your test. A confident driver is much better than a fearful, uncertain driver. Some key things to take note of are: speed limit signs, areas with railroad crossings, lights, multi lane roads, one-way streets and any tricky situations that might be unique to that particular testing area. The critical skills on the test are worth a whopping 3 points. The vehicle test, getting ready to drive and basic driving skills are worth one point. We will go over these more in depth below. 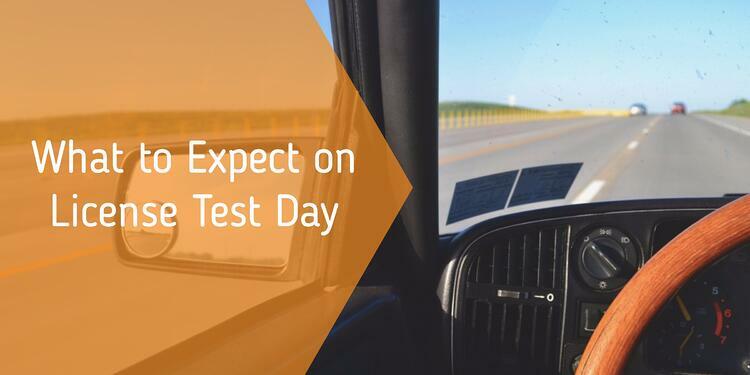 On the day of your test, you may be asked to help the DMV agent do a test of your vehicle. This means that you will be asked to test certain equipment on your car, including: lights, the horn, wipers and washer and the parking brake. Getting familiar with the equipment on your car way before the test will ensure that this experience goes smoothly. If the DMV agent does not have his/her seatbelt on, nicely ask him/her to put it on. These critical driving skills are worth 3 points! Staying as close to the speed limit as possible. When in rain, snow, fog or other adverse conditions, make sure you reduce your speed appropriately. Stay in the proper lane and turn into the proper lane. "Right of Way" is important. Make sure you know that a driver never has the "right of way." It must be given to you by other road users. Yield means you give the right of way. Make sure you don't block the box! This is a common mistake on test day. You are not allowed to turn left into a four-way intersection unless you know you can make it safely across. Wait behind the line and if the light is green and there are no other approaching vehicles entering the intersection, you can turn left. 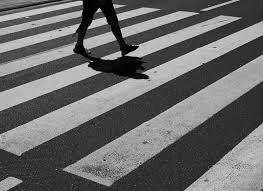 Yield to any pedestrian that is crossing or plans to cross the street. If they have a white cane, it means they are blind. A driver on a minor road must yield to a driver on a major road. Yield to school buses that are dropping off or picking up students. When you pass a bike, you must give the cyclist at least 3 feet of space. You can even cross the yellow line to do so, but ONLY if oncoming traffic is clear. If you have oncoming traffic, slow down and match the speed of the cyclist. Only pass when the oncoming lane is clear. Pull over to the right side of the road for any emergency vehicle (with lights or sirens flashing) that approaches from the front or rear of your vehicle. Make sure you stop before a white stop line. If there is no stop line, stop even with the sign post or before the cross walk if the sign post is positioned past the crosswalk. Make sure you understand traffic control signals. When a light is red, you stop. You can turn right on red after a legal stop IF the path is clear, and there is no sign telling you that you cannot go right on red. When a light is yellow, stop if you can without jeopardizing your safety and that of the cars behind you. When a light is green, go if it is safe to do so. Scan left, right and left again before going to make sure traffic is clear. A red arrow means that you must stop and cannot turn in that direction. A green arrow means that you can go if it's safe. A flashing yellow light means caution, in which case you should: hover your foot over the brake and scan for the cross traffic that has a flashing red light. Don't forget to use your parking break! When you stop before the white line at a stop sign, scan left, right and left again. When you see a yield sign, slow down and check traffic on the road you are about to enter. Slow down or stop if need be. Flashing red lights! Treat these like stop signs. The reason they are flashing is because the area is considered dangerous and has likely caused a couple crashes. Be cautious! Remember what you learned during driver's ed. Stay positive and in control of your emotions. Good luck! 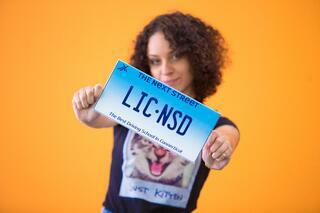 Want to get your Driver's License with the experts? Check out the options we have here at The Next Street to put you at ease during your big day!